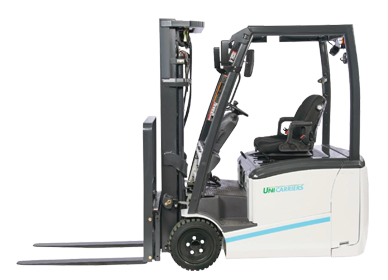 UniCarriers lift trucks are designed to deliver greater reliability, features that create more power and performance, and options that expand versatility – The TX-M Series forklifts by UniCarriers set the standard for highly maneuverable, versatile 3-wheel lift trucks. 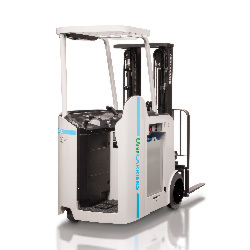 Faster travel, lift and lowering speeds along with impressive gradability mean faster work cycles and improved productivity. 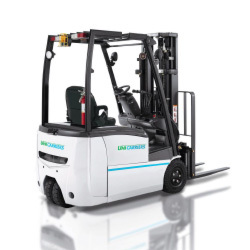 Electric power steering makes handling more precise, energy consumption more efficient and operators more comfortable. 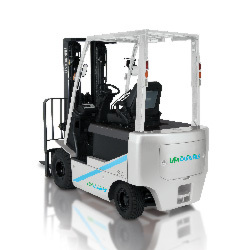 Faster travel, lift and lowering speeds along with impressive gradability mean faster work cycles and improved productivity. Electric power steering. 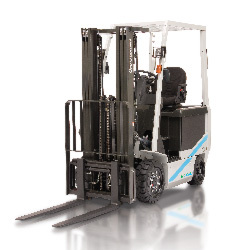 Up and down narrow warehouse aisles, in and out of trailers – the Platinum SCX Series combines extraordinary maneuverability with exceptional performance. Featuring an extra powerful 80 volt motor, the Platinum QX provides the power of an internal combustion engine without the emissions. A true workhorse, the Platinum BX combines a capacity of up to 8,000 lbs. and exceptional power efficiency with an advanced feature package. Reliability, ease-of-maintenance and preset performance modes. 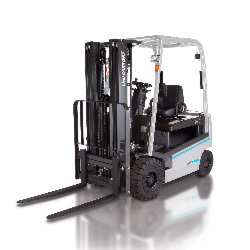 The right forklift for a wide array of heavy-duty applications. © 2012-2019 Mid Atlantic Industrial Equipment LTD - Serving The Mid Atlantic Region.